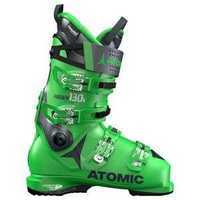 I was able to pick up this boot towards the end of last season, and immediately headed to Jackson Hole to test it out. Jackson Hole has the steeps and varied terrain to put a boot through it's paces and I was blown away by the fit, performance, and lack of weight. I have a very narrow, very low volume foot and this is the best heel hold and first fit I have gotten from a boot, but the shell is heat moldable to make room for many different foot shapes if needed. The 130 flex is stiff, but not harsh, and it is way easier to step in and out of then I was expecting. Advanced skiers looking for a snug performance fit should definitely put this boot on their radar. The Hawx Ultra 130 offers unrivalled all-mountain performance with a hard flex and a narrow last. The Hawx series from Atomic has always been highly regarded for its first fit, warmth, comfort and the ability to personalize shell, cuff and liner. 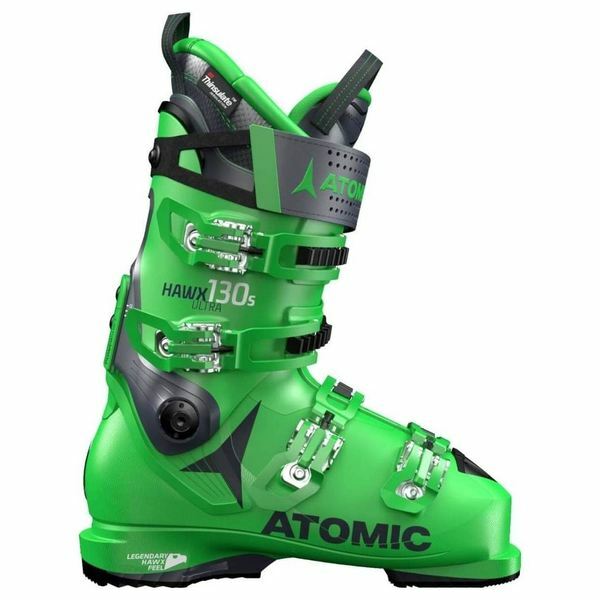 The series was extended with the Hawx Ultra range that offers a narrow fit in the lightest alpine ski boots made by Atomic. Despite the reduced weight, they are still as powerful as ever thanks to the all new Progressive Shell that adds reinforcement in key zones with reduced wall thickness. The Energy Backbone also provides extra strength and edge grip for powerful skiing. Plus, the Power Shift feature gives you the option to adjust your forward lean and crank the flex up to 140 for a super stiff boot. The True Flex feature guarantees that the flex of your boot won't change despite changing temperatures so that in the winter your boot will be just as stiff as it is on the hottest days of spring. Personalize this boot with the Power Shift, Cuff Alignment, and optional Cantable Grip Pads.